Perfect Wedding or Bridal Party Gift! 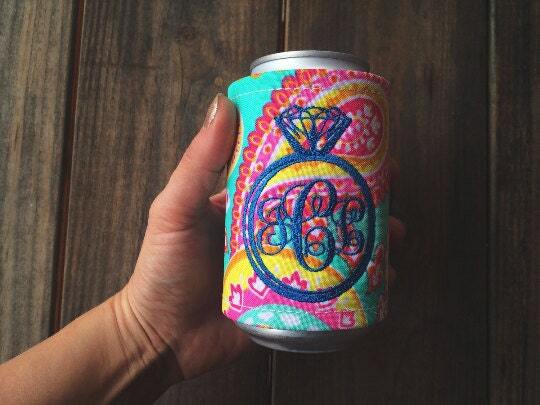 This listing is for one paisley Can Cooler with a engagement ring monogram! Clasps with Velcro. Please let us know at checkout, in the note section, what you would like it to say along with thread color. For Monograms- COPY & PASTE Initials to be monogrammed in the order you would like them to appear to the note to seller section and make sure you DOUBLE CHECK as there are no returns on personalized, custom, or wedding items. **Can not be refunded after 48 hrs of purchase date due to the nature of this item. 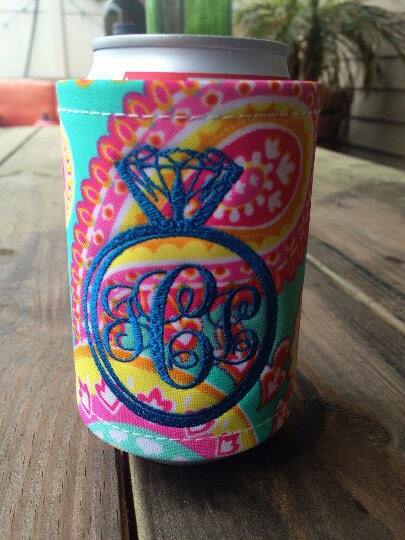 If this is a gift for the bride please make sure to include her new last name initial.